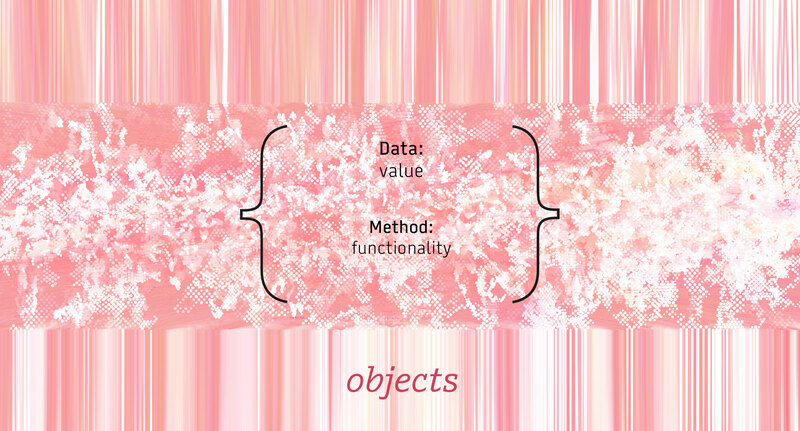 Objects let you package up functionality and data into a single package. It allows you to write all kinds of more sophisticated software interactions, and allows for something called extensibility. It’s a little more code to write at first, which ends of saving you lots of code later. Get the demo files on GitHub. Observe all of the interactions and examples in the source code for this module. There is a lot of in‐line comments and examples of all that objects can help you do, from making UI to the walker agents that created the demo image. Demo Videos at the Coding Train Be sure to watch 6.3 — 6.11, which will give you great information about objects and combining them with arrays for state tracking.